Greetings scissor happy friends! Today I am pleased to inspire you with two new projects I designed for Westcott Brand aka The World’s Favorite Scissors! I created this fun mini card with a cute cut out featuring a hand stamped image from JudiKins Stamps! Click HERE for a full step-by-step project tutorial! I also created this fun monogrammed mini canvas featuring adhesive rhinestone sheets from The Buckle Boutique, which I cut using one of Westcott’s fabulous LetterCraft stencils! Click HERE for a full step-by-step project tutorial! Stay tuned for more scissor happy inspiration projects coming your way from Modern Surrealist and Westcott Brand! Hello fellow bling addicts! I am pleased to announce that the Modern Surrealist licensed collection of Adhesive Rhinestone Sheets for The Buckle Boutique were featured in Stationary Trends Magazine in a section called Show Standouts! The Spring 2015 issue of the magazine is focused on the 2015 National Stationary Show, where our line was chosen as a finalist in the Best New Products competition! 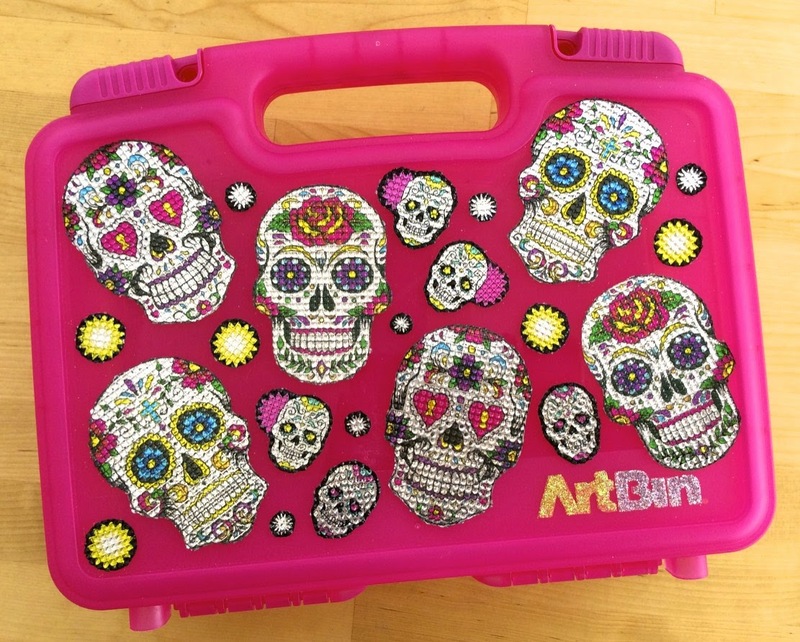 The magazine includes a picture of the very popular Sugar Skulls Adhesive Rhinestone sheet. At the show we also launched FULL size 10″ x 20″ sheets of the very popular new Cheetah Rose and Tie Dye Adhesive Rhinestone Sheets. That’s right Tie Dye bling, so you no longer have to CHOOSE between being a bohemian or a glamor girl, you can have it ALL!!! Click HERE to shop from our full assortment of fabulous patterned adhesive bling sheets! I am super excited to announce that the Marisa Pawelko Modern Surrealist Collection of Adhesive Rhinestone Sticker Sheets for The Buckle Boutique has been selected as a Finalist in the 2015 Best New Product Competition at the National Stationary Show! At the show, we will be debuting two new additions to the collection based on customer demand! Those include full size 10″ x 20″ sheets of our popular tie dye and cheetah rose patterns! It’s an absolute honor for our product line to have been selected as a finalist from the over 600 entries submitted! A great big congrats to all of the finalists who were chosen! Wishing everyone a very fun and successful show! 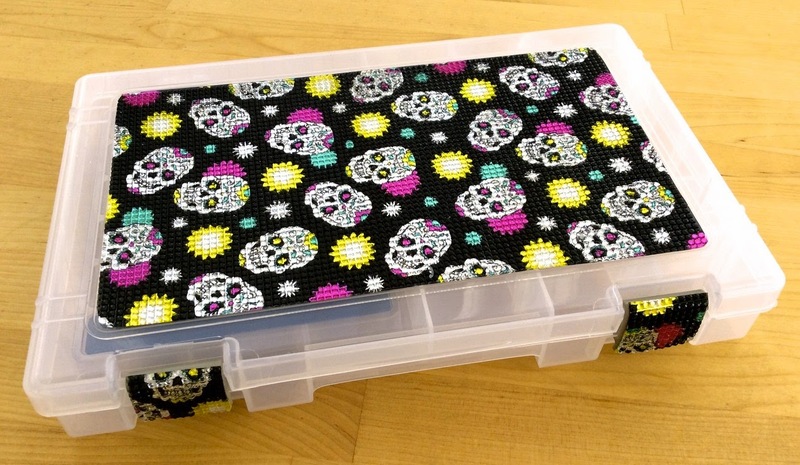 Bling Your Bin – A CoBranded Promotion with ArtBin, Modern Surrealist & The Buckle Boutique! March is National Crafting Month! In honor of this special time, ArtBin, Modern Surrealist and The Buckle Boutique have joined forces to bring you an awesome sweepstakes! Enter to win today!!! You may have heard about the new Modern Surrealist line of rhinestone sticker sheets for The Buckle Boutique! I used some of them to embellish some fabulous ArtBin cases. Check it out! Now my ArtBins are fabulous and functional!!! 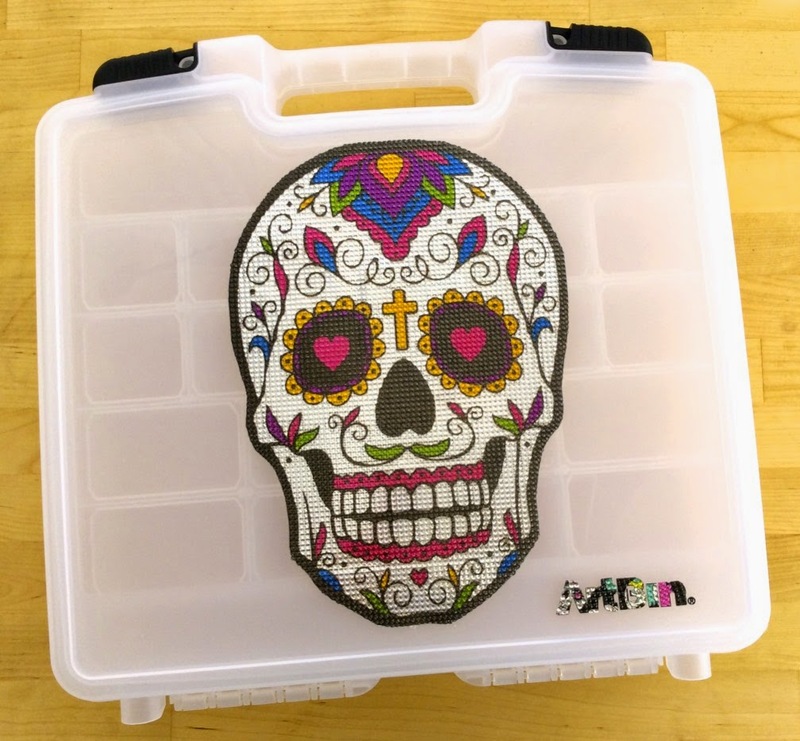 Since the rhinestone sticker sheet cut easily with scissors, a craft knife or a die cutting machine, I was able to easily cut around the outline of the large Sugar Skull image. Then I peeled off the backing from the image I cut, and exposed the adhesive to apply the skull to the ArtBin. I even cut the letters for the word ArtBin out of the sticker sheets! 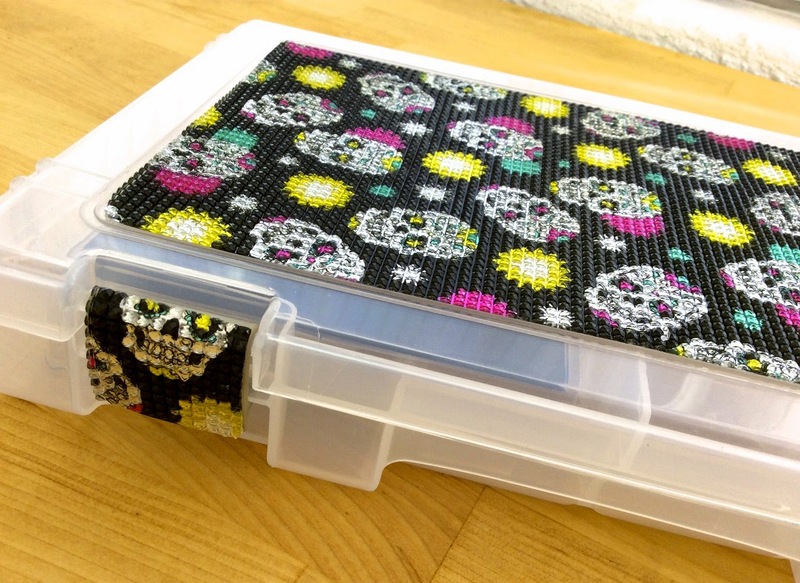 And since the rhinestone sticker sheets are so flexible, I was even able to wrap the clasp that holds the ArtBin closed! There are just so many ways you can Bling Your Bin! 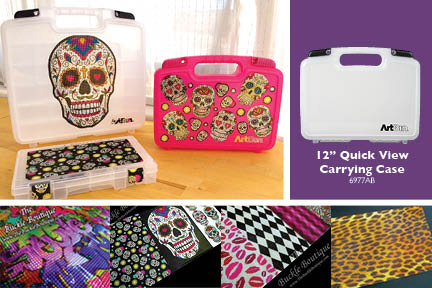 Would you like to win an ArtBin and a rhinestone sticker sheet? Enter our contest below!!! There will be a total of three winners. *Winners must provide a mailing address within the Continental United States to receive the prizes. We launched our new line of co-branded rhinestone sticker sheets in partnership with The Buckle Boutique at the Craft and Hobby Association Mega Show in January 2015. We were to thrilled to see all the positive feedback from everyone who had a chance to craft with these at the show! And now we have the new line added to our online store so you can order them for your creative crafting and DIY projects! Here they are . . .